It's time for a new RetroSketch and this week's awesome sketch is based on this fabulous card by Arielle. 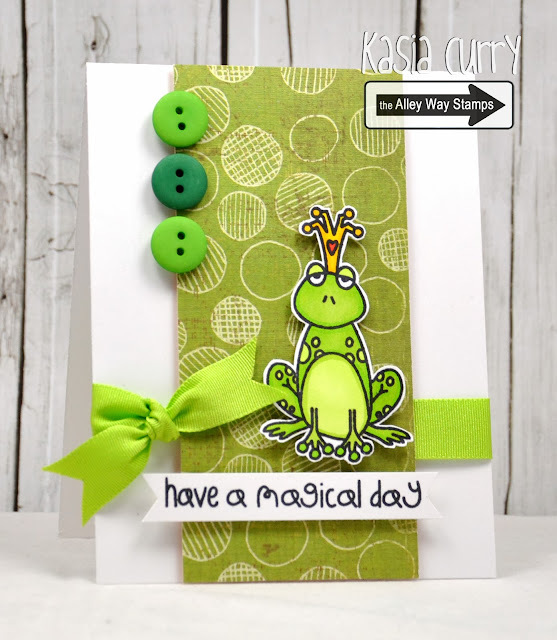 I needed a boy's birthday card so I decided to use this adorable image using the new TAWS set Enchanted. 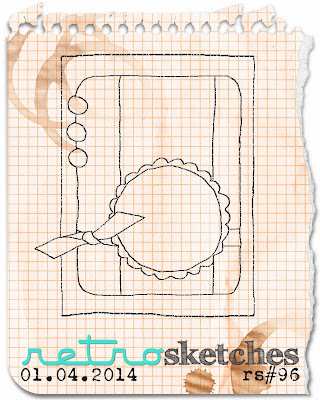 Hop on over to the RetroSketches blog for more inspiration using this week's sketch and for the details on how to play along. Very cute card Kasia, this image is darling. Your card is one that someone won't "FROGet" in a hurry - just darling. Just a note as a challenge visitor that you might share with your DT - I had to hunt to find your blog, what I'm saying is in most challenges you just click on the picture or there is a direct hot link under or over each DT's card? I did not mind hunting, but I'm wondering if some people would, or an inexperienced visitor would simply not figure it out?